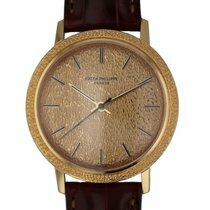 This is the ultimate Vintage dress Patek! 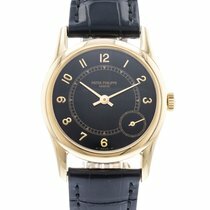 Made in Classic Yellow Gold, the elongated, tonneau case and deep blue dial are elegant without being ostentatious. The flexible mesh bracelet will adhere comfortably to the contours of your wrist. This timepiece is in original, unpolished and mint condition. 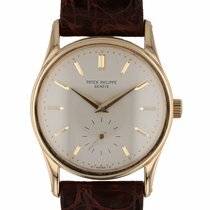 This watch comes complete with the original Patek Philippe certificate and box. The pictures are of the actual watch in our inventory. We NEVER cut and paste photos for any of our offers.